The Los Angeles Philharmonic and the Academy of Motion Picture Arts and Sciences are entering a three-year partnership where the two organizations will collaborate on programming beginning in the 2016/17 season. The first in the collaboration will be the presentation of three classic films with orchestra live-to-picture at Walt Disney Concert Hall. "Rebel Without a Cause, "(world premiere of the film with live orchestra), "On the Waterfront,"and "Casablanca" are the first movies to be announced . Other presentations for the 2017/18 and 2018/19 seasons will be announced. On Thursday, November 17, at 8:00 PM, Scott Dunn leads the LA Phil in Leonard Rosenman’s celebrated score for Rebel Without a Cause (1955) – directed by Nicholas Ray and screenplay by Stewart Stern. This presentation marks the world premiere of the film with a live-orchestra. Friday, November 18, at 8:00 PM and Sunday, November 20, at 2:00 PM, respectively, David Newman conducts the LA Phil in Leonard Bernstein’s Oscar®-nominated score for On the Waterfront (1954) – directed by Ella Kazan with screenplay by Budd Schulberg – and Max Steiner’s Oscar-nominated score for Casablanca(1943) – directed by Michael Curtiz with screenplay by Julius J. Epstein, Philip G. Epstein and Howard Koch – both complete films with live orchestra. Each screening of the classic film series will be introduced by Academy members: Andy Garcia (Nov. 17), Eva Marie Saint (Nov. 18) and Aaron Eckhart (Nov. 20). Before each screening, the LA Phil’s "Upbeat Live" will be held in BP Hall, free to all ticket holders. Curated by the Academy, the pre-concert talks will feature film-music historian and veteran journalist Jon Burlingame in conversations about the importance of each film score with former Academy Music Branch Governor and composer Charles Fox (Nov. 17), Academy Music Branch Governor and composer Laura Karpman (Nov. 18) and Academy Music Branch Governor and composer Charles Bernstein (Nov. 20). Tickets for the Los Angeles Philharmonic’s 2016/17 season at Walt Disney Concert Hall are currently available. To purchase, please visit LAPhil.com or the Walt Disney Concert Hall Box Office. For more information, please call 323.850.2000. The Los Angeles Philharmonic Association, under the vibrant leadership of Music & Artistic Director Gustavo Dudamel, presents an inspiring array of music from all genres – orchestral, chamber and Baroque music, organ and celebrity recitals, new music, jazz, world music and pop – at two of L.A.’s iconic venues, Walt Disney Concert Hall (www.laphil.com) and the Hollywood Bowl (www.hollywoodbowl.com). The LA Phil’s season at Walt Disney Concert Hall extends from September through May, and throughout the summer at the Hollywood Bowl. 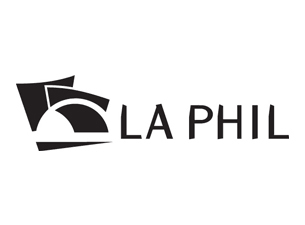 With the preeminent Los Angeles Philharmonic at the foundation of its offerings, the LA Phil aims to enrich and transform lives through music, with a robust mix of artistic, education and community programs. The Academy of Motion Picture Arts and Sciences is a global community of more than 7,000 of the most accomplished artists, filmmakers and executives working in film. In addition to celebrating and recognizing excellence in filmmaking through the Oscars, the Academy supports a wide range of initiatives to promote the art and science of the movies, including public programming, educational outreach and the upcoming AcademyMuseum of Motion Pictures, which is under construction in Los Angeles.